ABRAHAMSON, Herbert W. Born 11-1-1947, died 3-2-2016. Age: 68 - Son of Ivan and Doris (Erickson) Abrahamson. Born and lived in Jamestown NY, died in Greenhurst NY. Worked 44 years at Clark Supply in Falconer NY. ACHTERBERG, Janet M. (Wilson). Spouse of Jerry A. Born 10-3-1950, died 1-31-2003. Age: 52 - Dau of William and Beatrice (Hirtz) Wilson, b. Buffalo NY. Wed 8-9-1969, three sons. ALLESI-BARKER, Bonnie J. Spouse of David Barker (survives). Born 3-19-1956, died 7-27-2015. Age: 59 - Dau of John and Marjorie Gill Allesi; born in Jamestown NY, died in Erie PA. Wed 5-9-1979; two daughters. Held PhD in Sociology from SUNY Buffalo NY; creator of Project Know, used in area schools. ALM, Robert C. Spouse of Lillian Eckroth. Born 8-31-1922, died 4-13-2017. Age: 94 - Son of Carl and Hilda (Anderson) Alm. Born, lived and died in Jamestown NY. A sales rep for Kendall Refining for 36 years. Wed 6-22-1946, three children. - WW II Vet, US Army 15th Special Service Co. Europe. ANDERSON, Elmer C. Spouse of Gladys W. Born ? ?, died ? ANDERSON, Linnea D. Spouse of Paul E. Born 12-3-1913, died 1-18-2003. Age: 89 - Dau of Oscar and Ellen Nordstrom Daniels, b. Maryland. ANDERSON, Maxine. Spouse of Carl A. Born ? ?, died ?? ANDERSON, Vera Elvira Elisabet (Berggren). Born 4-20-1883, died 3-4-1914. Age: 31 - Dau of Carl L. and Garda J. (Rinaldo) Berggren. Born and died in Jamestown NY. ANDREWS, Robert C. Spouse of Elizabeth German. Born 2-20-1931, died 2-19-2017. Age: 85 - Son of Charles and Hazel (Totten) Andrews. Born in Wyoming PA, lived in Jamestown NY, died in Gerry NY. Worked 21 years at Crawford Furniture. Wed 7-11-1957, four children. [sic] - Korean War Vet, US Army. AYERS, Susan Marie (Cornell). Born 9-22-1947, died 2-19-2017. Age: 69 - Son of Raymond E. and Etta J. (Gunnarson) Cornell. Born in Jamestown NY, lived and died in Frederick MD. Career Dept of Defense civil servant (1974-2007). One son, surnamed Ayers. BAKER, Hubert. Born abt1890, died 10-15-1894. Age: 4 - Son of Bloomfield and Grace Guest Baker. BAKER, Infant. Born 8-18-1898, died 8-18-1898. Age: Infant - Dau of Bloomfield and Grace Guest Baker. BAKER, Rese A. Born 10-17-1992, died 3-17-2016. Age: 23 - Son of Paul and Jennifer (Crow) Baker. Born, lived, and died in Jamestown NY. BALDWIN, Mary Ann (Herman). Spouse of Stuart Kennedy Baldwin. Born 4-28-1928, died 5-12-2016. Age: 88 - Dau of Oscar and Signe Olson Herman. Born, lived, and died in Jamestown NY. A registerd nurse. Wed 9-13-1952, two children. BALDWIN, Stuart K. Spouse of Mary Ann Herman. Born 10-25-1925, died 2-21-2012. Age: 86 - Son of Russell S. and Bertella (Trantum) Baldwin. Born in Tidiute PA, lived and died in Jamestown NY. Owned and operated Stuart K Baldwin Advertising for 45 years. Wed 9-13-1952, two children. Uncategorized Vet, US Navy, six years then USNR, Co E in Jamestown for many years. BALL, Henry Desiree (Hunt) Ball. Born 9-25-1887, died ?? BARGAR, Wilhelmina (Ellis) [Toots]. Spouse of John C. Born 9-27-1932, died 6-26-2014. 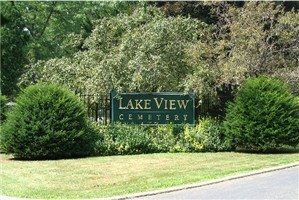 Age: 87 - Born in Wyoming Co NY, lived and died in Jamestown NY. Wed 11-29-1952, three sons. BARTLETT, Robin Lee. Born 7-6-1960, died 1-19-2015. Age: 54 - Dau of Clayton and Ida Mae (Carr) Bartlett, born in Wilmington DE, died in Belmont OH. Unmarried. BATES, James D. Spouse of Judy Ann Rexford. Born 7-29-1942, died 4-23-2016. Age: 73 - Son of ? and Viola Myrtle Siebert. Born in Warsaw NY, lived and died in Jamestown NY. Wed 2-14-1986, two children. BATES, Judy Ann (Rexford). Spouse of James D. Born 6-11-1948, died 3-23-2013. Age: 64 - Born, lived, and died in Jamestown NY. Wed James 2-14-1986, three children. BENDER, William. Spouse of Grace E Strunk. Born ? ?, died 4-3-1943 - Wed April 12 1905. Struck by car. BENGTSON, Earl H. Spouse of Elizabeth Sandquist. Born 6-26-1921, died 7-19-2000. Age: 79 - Son of Oscar and Jennie Johnson Bengtson - Korean War Vet, US Air Force, Lt. Col., Ret. BERGGREN, Carl Leander. Spouse of #1 Garda J. Rinaldo, #2 Laura E. Born 11-24-1879, died 5-11-1905 - Born in Sweden, died in Chaut Co NY. One daughter with Garda. BERGGREN, Garda Josefina (Rinaldo). Spouse of Carl L. Born 7-22-1881, died 1-13-1917 - Dau of Anders Peter and Anna Sofia (Carlsdotter) Rinaldo. Born in Sweden, died in Jamestown NY. At least one daughter. BINGHAM, Harold E. Spouse of Evelyn Norman. Born 9-18-1819, died 10-3-2000. Age: 82 - Son ofHarry E and Mabel Norwood Bingham Jamestown Police Dept. BJORKHOLM, William Aron Isidor. Spouse of Dorothy V. Gustafson. Born 7-20-1921, died 12-18-2015. Age: 94 - Son of Egidius I. and Marie T. (Johanson) Bjorkholm, born and died in Jamestown NY. Wed 6-7-1947 in Jamestown NY, two daughters. (She survives) - WW II Vet, US Army Military Intelligence, Europe. Purple Heart and several other medals. BRANT, Roberta Christine (Johnson). Spouse of Lawrence. Born 10-7-1919, died 5-7-2016. Age: 96 - Dau of Axel E. and Roberta (Pomroy) Johnson. Born in Yatesboro PA, lived in Jamestown NY, died in Erie PA. Retired as senior account clerk at Jametown BPU. Wed 6-3-1944, no children. BROADHEAD, Almet Norval. Spouse of Margaret Allen Bradshaw. Born 2-27-1851, died 5-5-1925 - Son of William and Lucy (Cobb) Broadhead. Born, lived, and died in Jamestown NY. Two sons. BROADHEAD, Almet Norval II [Al]. Spouse of #1 Marjorie Sauerbrunn, #2 Norma. Born 10-18-1921, died 4-27-2016. Age: 94 - Son of William Almet and Marion (Bentley) Broadhead. Born, lived, and died in Jamestown NY. An accountant. Wed Marjorie in 1947, two children. Norma d. 2006. - WW II Vet, US Army, Engineers. BROADHEAD, Beatrice. Born 12-19-1899, died 6-18-2001. Age: 101 - Dau of James Almet and Edith May (Haynes) Broadhead. Born, lived, and died in Jamestown NY. Retired as a director of American Manufacturing. Founding member of Stillwater United Methodist church (1918). BROADHEAD, Cecelia A. (Rosenberg). Spouse of Ernest James. Born 9-9-1881, died 3-15-1934 - Born in Springville NY, died in Jamestown NY. At least two children. BROADHEAD, Elizabeth (Lund). Spouse of Jonas. Born 11-13-1842, died 3-23-1901 - Born in Thornton, West Yorkshire, England, died in Jamestown NY. Wed 10-10-1864 in Denholm England, thirteen children. BROADHEAD, Ernest Jones. Spouse of Cecelia A. Rosenberg. Born 7-30-1877, died 6-1-1972 - Son of Jonas and Elizabeth (Lund) Broadhead. Born in Thornton, West Yorkshire, England, died in Jamestown NY. BROADHEAD, Jonas. Spouse of Elizabeth Lund. Born 9-4-1837, died 7-21-1906 - Born in Thornton, West Yorkshire, England, died in Jamestown NY. Wed 10-10-1864 in Denholm England, thirteen children. BROADHEAD, Lucy (Cobb). Spouse of William. Born 3-11-1825, died 1-17-1908 - Born in Essex Co NY, died in Jamestown NY. Three children. BROADHEAD, Margaret Allen (Bradshaw). Spouse of Almet Norval. Born 1859, died 1932 Two sons. BROADHEAD, Marion Estelle (Bentley). Spouse of William Almet. Born 1890, died 1981 - Dau of Fred A. and Mary E. (Blanchard) Bentley. At least one son. BROADHEAD, Marjorie Regina (Sauerbrunn). Spouse of Almet Norval II. Born 1922, died 1996 Two children. BROADHEAD, Mary (Woodworth). Spouse of Shelden B. Born 9-26-1849, died 9-26-1894 Dau of Erastus C. and Huldah Woodworth. Born in Orleans Co NY, died in Jamestown NY. Wed in 1879, one daughter. BROADHEAD, Shelden Brady. Spouse of Mary Woodworth. Born 8-24-1846, died 8-29-1925. Age: 79 - Son of William and Lucy (Cobb) Broadhead. Born, lived, and died in Jamestown NY. Millionaire railroad and transportation magnate. Wed in 1879, one daughter. BROADHEAD, Stella Florine. Born 4-12-1859, died 6-4-1942. Age: 82 Dau of William and Lucy (Cobb) Broadhead. Born, lived, and died in Jamestown NY. Founded the Jamestown Chapter of DAR, very active in the community. BROADHEAD, William. Spouse of Lucy Cobb. Born 1819, died 1910 - Founder and operator of Broadhead Worsted Mills. Three children. BROADHEAD, William Almet. Spouse of Marion E. Bentley. Born 1887, died 1964 - At least one son. BUCK, Elfreda M. Spouse of Lawrence J. Born ? ?, died 4-6-1954. Age: 67 - Dau of Alvin and Carolina Hanson Molin. BUSH, Eliza Jane MAY. Born ?, died ? CARLSON, Daryl R. Fiancee of Kelly Hill. Born 4-5-1966, died 4-28-2009. Age: 43 - Son of Duane R. and JoAnn M. Finn Carlson Sr.
CARLSON, Edith E. Spouse of Albin R. Born 2-16-1910, died 2-9-2000. Age: 89 - Dau of Labin and Anna King Bull born Rutherford N.J.
CARLSON, Gordon L. Spouse of Mabelle L. Born 6-28-1934, died 1-19-2014. Age: 79 - Son of Harold and Genevieve Carlson, born in Jamestown. CARLSON, June V. Born 9-28-1921, died 9-15-2015. Age: 93 - Dau of Paul A. and Olive (Peterson) Carlson. Born, lived, and died in Jamestown NY. Secretary of First Lutheran Church for 31 years. CARLSON, Robert V. Spouse of Marie Traficante. Born 8-12-1926, died 3-24-2018. Age: 91 - Son of Blaine O. and Alida (Anderson) Carlson. Born and lived in Jamestown NY, died iin Gerry NY. President of Donalson Trucking and storage for 25 years, Wed 3-21-1954, two daughters. (Spouse survives) - WW II Vet, US Army Air Force, 487th Base Unit. CARLSON, Thomas R. Born 1-20-1966, died 11-28-2016. Age: 50 - Son of Robert L. and Phyllis (Smith) Carlson, born and lived in Jamestoen NY. Killed in a hunting accident. Worked 17 years for Gander Mountain. Unmarried. CHAMBERLIN, William. Spouse of Alta Jones. Born ? ?, died ? CHRISTIAN, Florence A. (Bernhard). Spouse of Richard. Born 10-8-1927, died 3-26-2017. Age: 89 - Dau of Sigfred and Margaret (Herbert) Bernhard. Born. Lived, and died in Jamestown NY. A dental assistant. Two daughters. CHRISTIAN, Richard Francis. Spouse of Florence A. Bernhard. Born 11-20-1926, died 1-13-1992 - Son of Conrad and Florence E. Christian. Born in Lowell MA, died in Jamestown NY. Two daughters. CIANCIO, Thomas. Spouse of Donna Stewart. Born 9-8-1955, died 4-7-2014. Age: 58 - Son of Thomas P. and Patricia (Rodgers) Ciancio. Born in Jamestown and d. in Erie, PA. Graduated Jamestown HS in 1973. Wed 7-12-1998. CLOVER, Marjorie E. Spouse of Frank B. Born 4-2-1910, died 4-25-2003. Age: 93 - Dau of William and Lillian Emmett Norton, b. Jamestown NY. COLE, Carol (Anderson). Spouse of John K. Born 12-20-1926, died 2-26-2017. Age: 90 - Dau of Albin and Ruby Seekins Anderson. Born in Jamestown NY, lived in Ashville NY, died in Buffao NY. Wed 10-23-1946, four children. COLERA, Audrey M. (Hicks) (Spouse not named). Born 7-7-1931, died 8-21-2015. Age: 84 - Dau of Lawrence and Reba (Stitzinger) Hicks, born in Tionesta PA, lived and died in Jamestown NY. Three daughters. CONDON, Helen J. Spouse of Charles V. Born 10-21-1916, died 3-3-2003. Age: 86 - Dau of John and Vendla Anderson Johnson, b. Jamestown NY. DAHLBECK, Lorraine S. Spouse of Richard G. Born 7-29-1921, died 9-23-2003. Age: 82 - Dau of LeRoy and Ruth Swope Smith. DELAHOY, Belle A. (haskin). Spouse of Richard L. Born 2-12-1937, died 10-4-2005. Age: 68 - Dau of DeForest D. and Evelyn V. (Langworthy) Haskell. Wed 1-9-1954, four children. DELAHOY, Richard L. [Popeye]. Spouse of Belle A. Haskell. Born 9-6-1932, died 5-16-2017. Age: 84 - Son of Lloyd and Martha (Howard) Delahoy. Born in Falconer NY, lived in Bemus Point NY, died in Jamestown NY. A machinist for 38 years at SKF Bearings. Wed 1-9-1954, four children. DEPLEDGE, Angie Viola (Calkins) Furlow. Spouse of #1 Howard S. Furlow, #2 Donald S. Dewey, #3 Earl Call, #4 Carleton Luck, #5 Kenneth E. Depledge. Born 5-21-1911, died 11-3-2003 - Dau of Eugene Oscar and Lillian (Brotherton) Calkins. Wed Howard 2-14-1927. 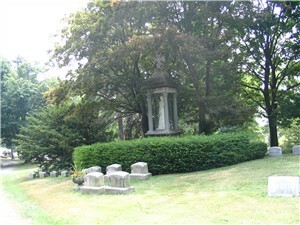 At least three children with Howard and buried with Howard. Wed Kenneth 12-22-1993. DIAZ, Jose M. Born 8-3-1973, died 12-15-2016. Age: 43 - Son of Nicolas Diaz and Marta Martinez, born in Patterson NJ, died in Jamestown NY. There children. DIMAS, George. Born 4-25-1927, died 11-18-2015. Age: 88 - Son of Peter and Thomaidha (George) Dimas, born in Rochester NY, died in Jamestown NY. Unmarried - WW II Vet, USMC, 4 years. DIMAS, George N. Born 11-8-1924, died 1-11-2016. Age: 91 - Son of Nicholas and Evelyn (Theodore) Dimas, born in Rochester NY, died in Greenhurst NY. A licensed land surveyer for 30 yrs. Wed 4-25-1953, Two daughters. (She survives) - WW II Vet, US Army, Europe and Pacific. 1943-1946. Bronze Star. DIXON, Peggy L. (Colley). Spouse of Howard O. Born 8-12-1939, died 1-6-2018. Age: 78 - Dau of Patrick and Elizabeth (Barber) Colley, one of 13 children.Born in Bradford PA, died in Jamestown NY. Wed 9-4-1973, five children. DOLAN, Earl C. Spouse of Clara C. Born ? ?, died ?? DREYER, Abiah. Born ? ?, died ?? DROHIN, Alejo. Born 7-17-1934, died 5-25-2017. Age: 82 - Son of Rafael and Angela (Cora) Drohin. Born in Arroyo Puerto Rico, died in Jamestown NY. Seven children, mother not named. EGANSKI, Kiersten C. Born 11-3-2004, died 9-21-2006. Age: 1 - Dau of Tammy D. Franklin and Kenneth J. Eganski Jr.
ENGBLOM, Robert J. Born 9-3-1954, died 12-20-2015. Age: 61 - Son of Clifford and Marilyn (Ecklund) Engblom, born in Jamestown NY, died in Ellington NY. Worked for Carborundum for 43 years. Unmarried. ERICKSON, August. Born ?, died ?